The Fortore co-operative has its headquarters on the lower spurs of the Daunian Sub-Apennines, which descend towards the Tavoliere plain and meets the foothills of the Gargano. This ancient land, on the Torremaggiore plains, is where the Benedictine abbey Monasterium Terrae Maioris used to stand. This abbey is what gives the co-operative’s oil its name. It represents a strong bond with the land, an appreciation for the work of farmers in this generous land. The Fortore co-operative was formed in 1960, with only 50 members, as a small wine shop. Today there are 600 members. In 1970, the co-operative, driven by the need to transform and take advantage of local products, started milling olives and storing wheat. 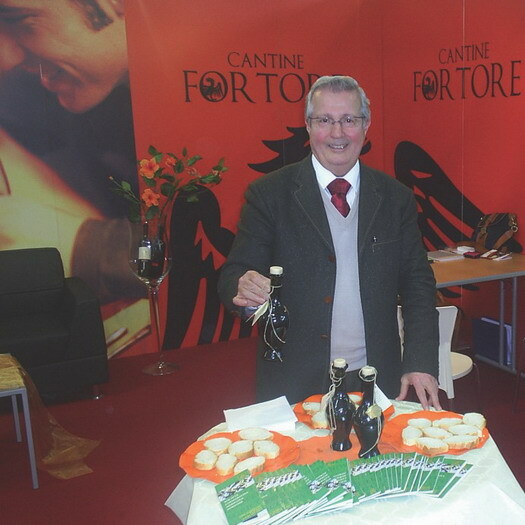 Fortore operates amongst old and new, tradition and new technologies, to offer the products of the Daunia area. Its roots embrace the social fabric and landscape of a traditionally rural land, where vineyards and olive groves are ever-present.